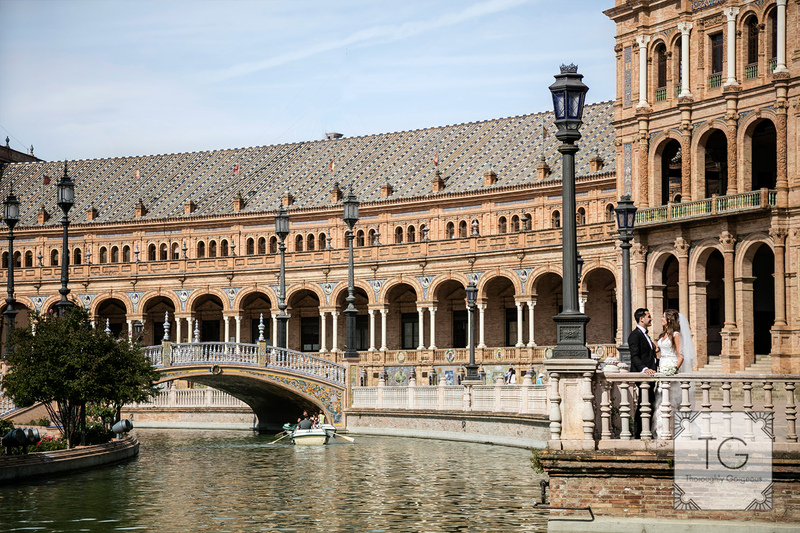 One of the biggest pleasures of working in Southern Spain is that a couple of hours drive and you can be in many magnificent cities full of history and beauty. 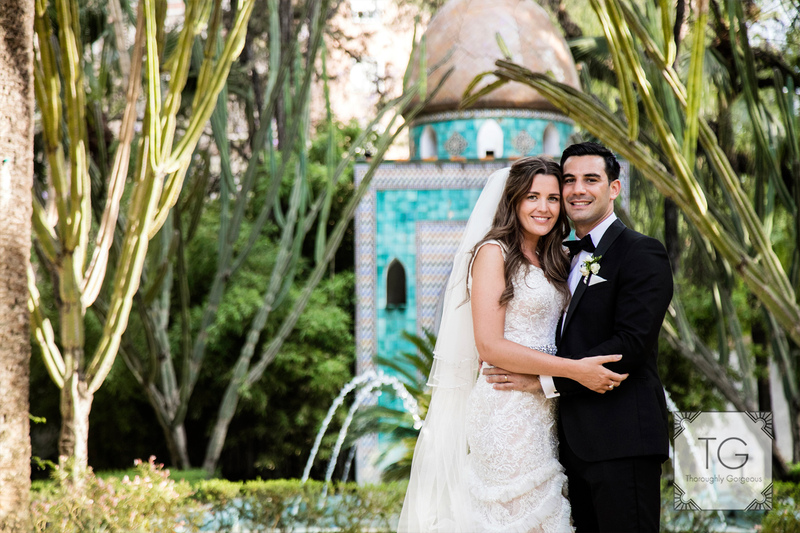 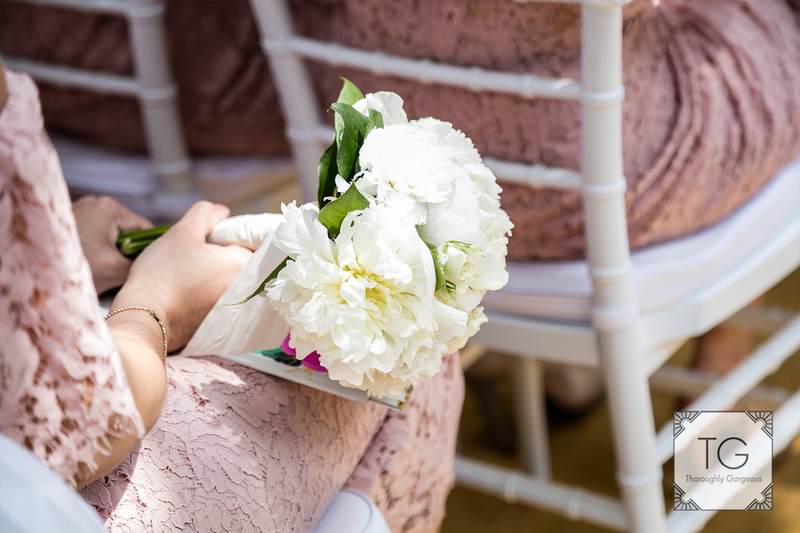 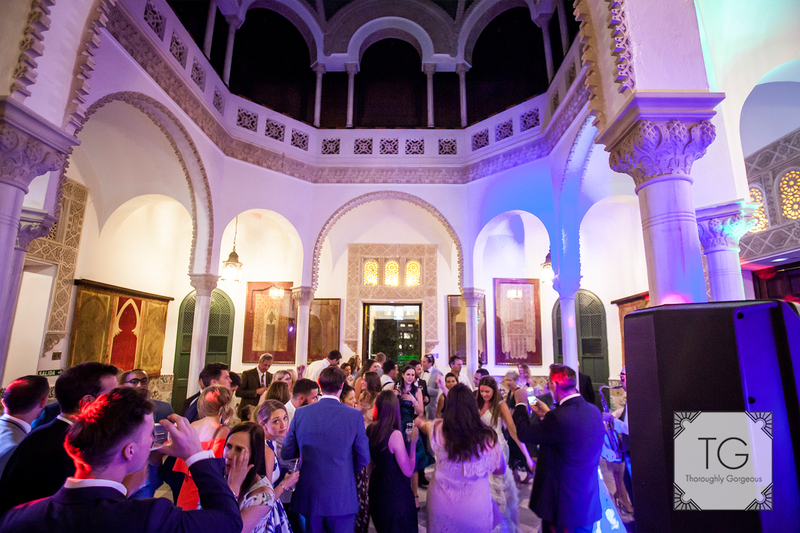 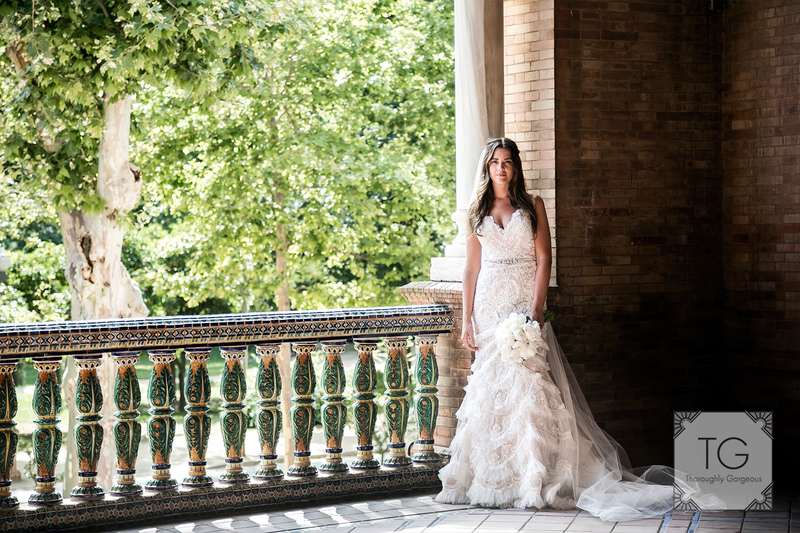 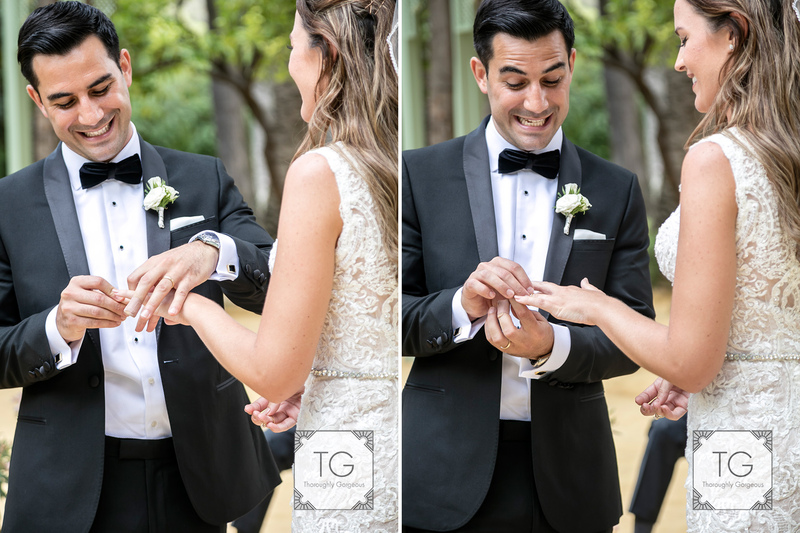 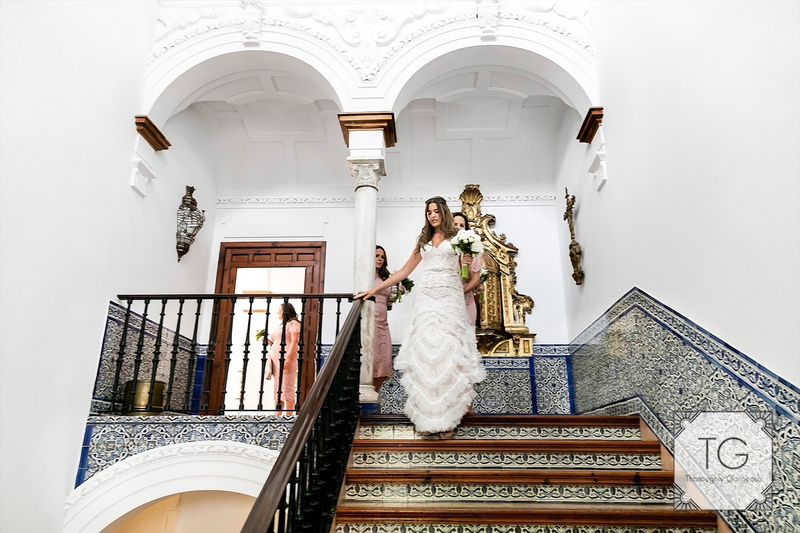 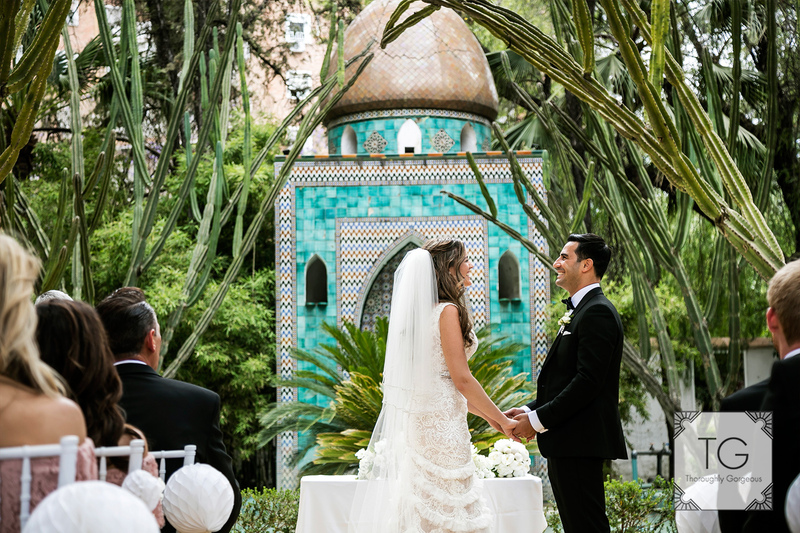 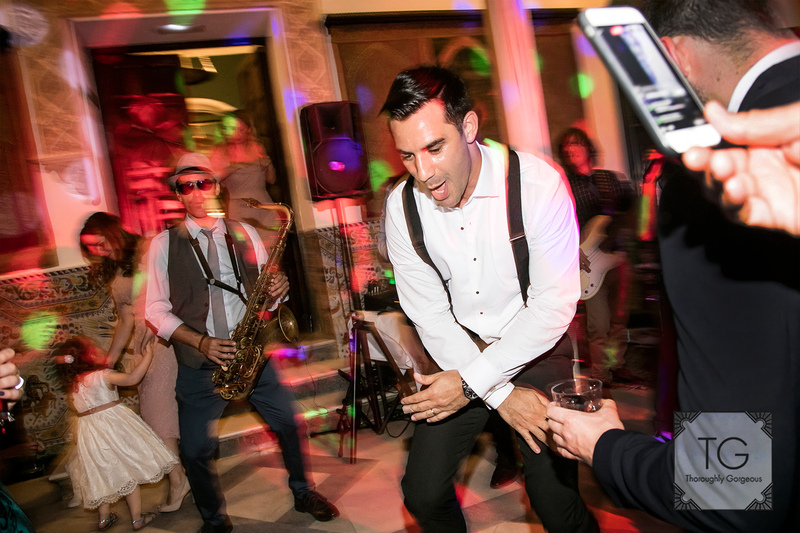 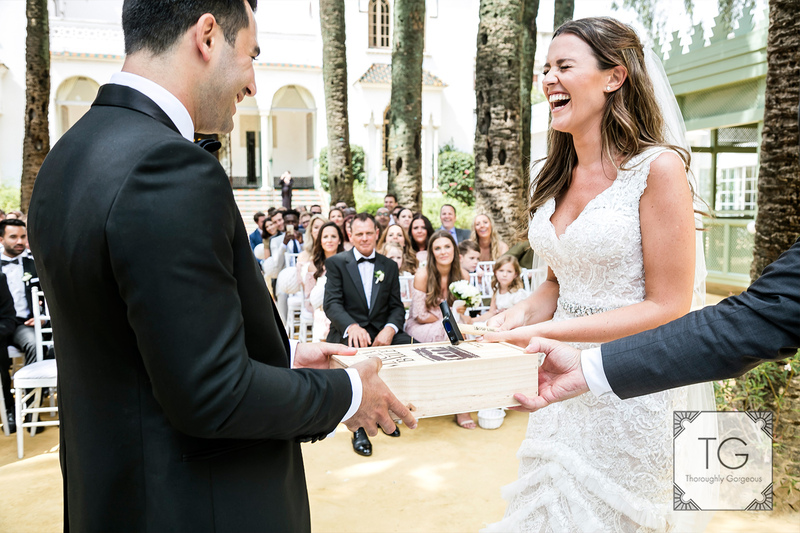 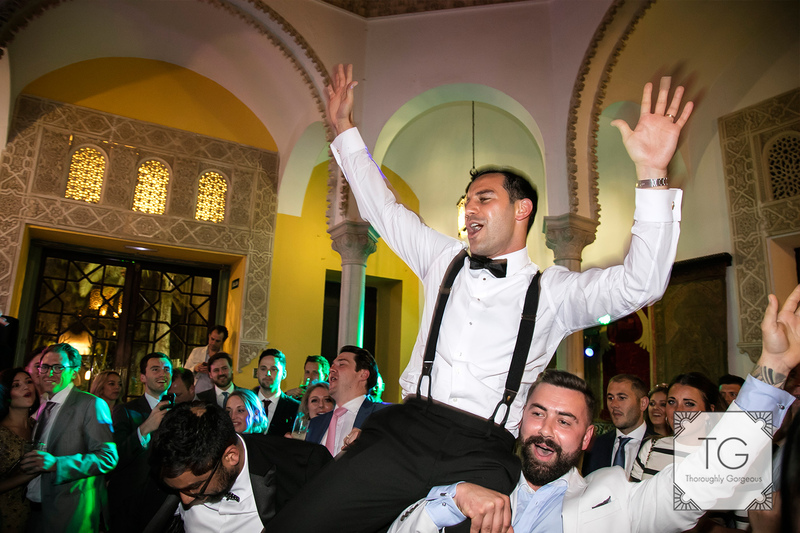 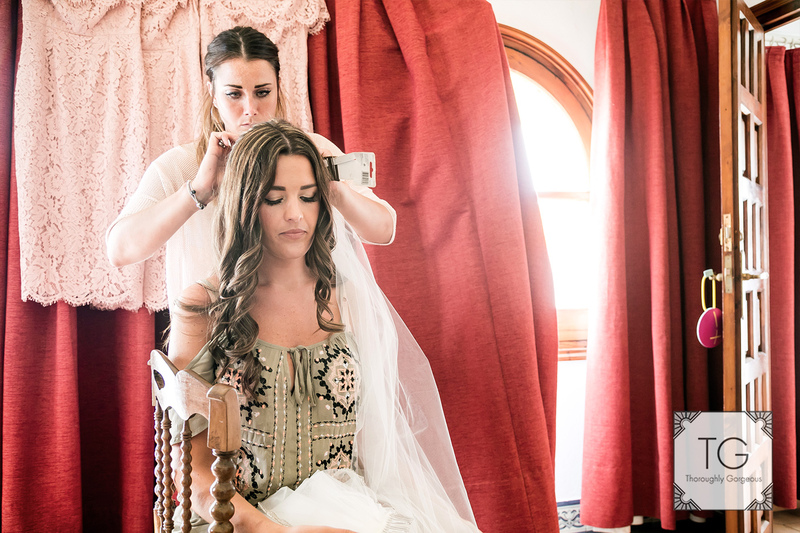 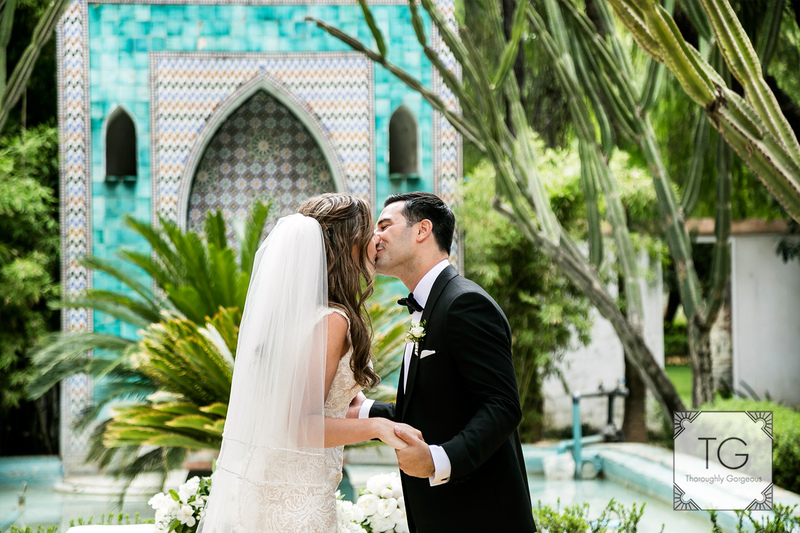 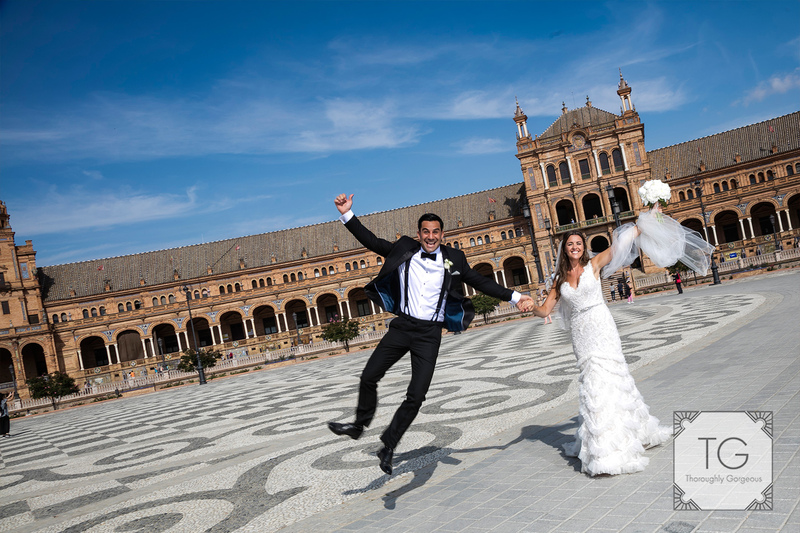 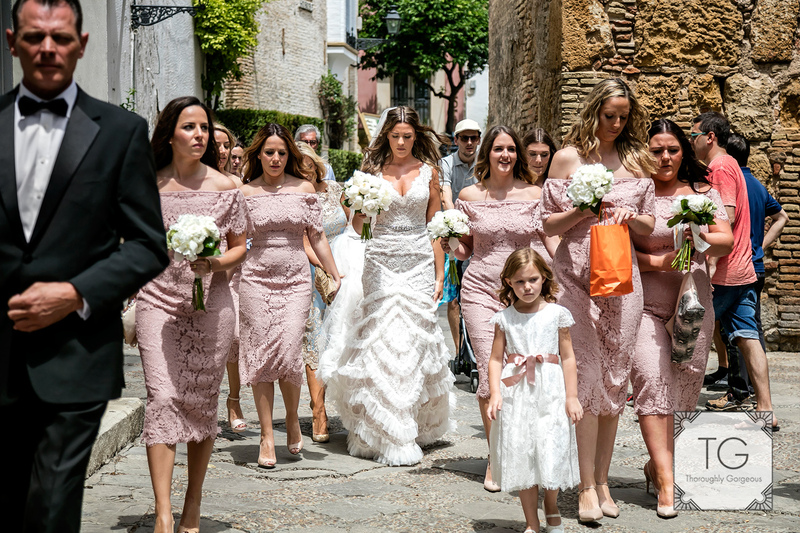 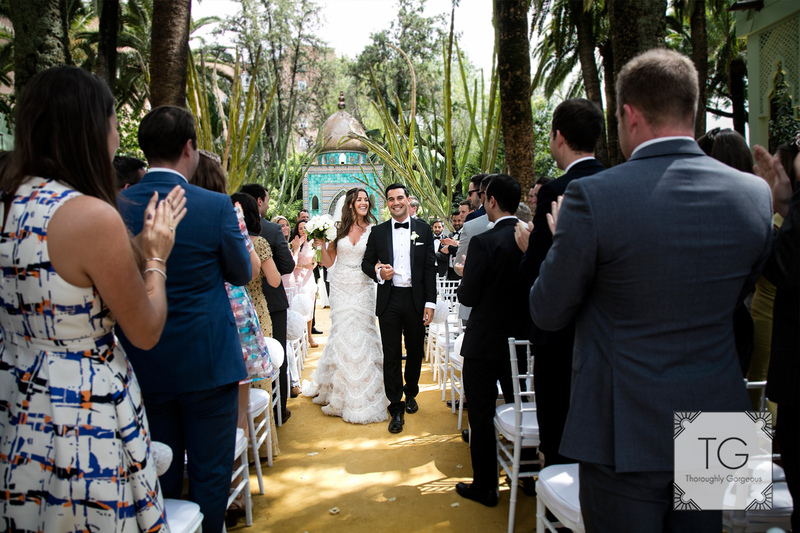 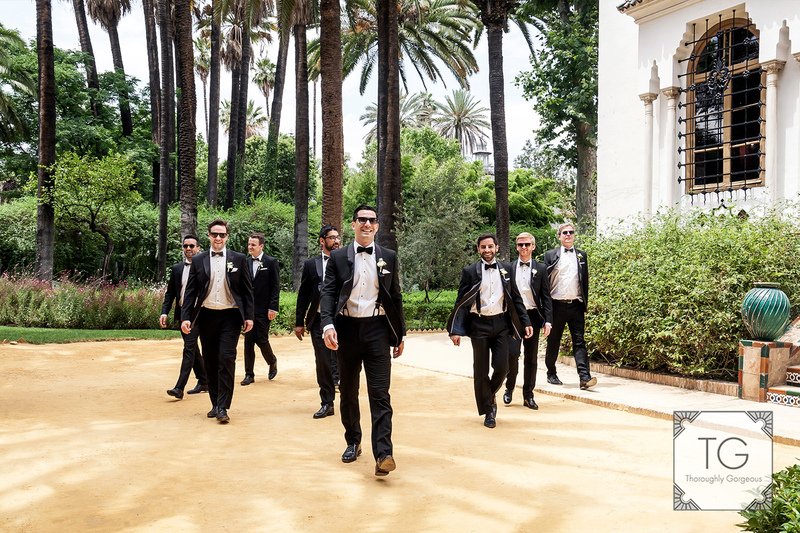 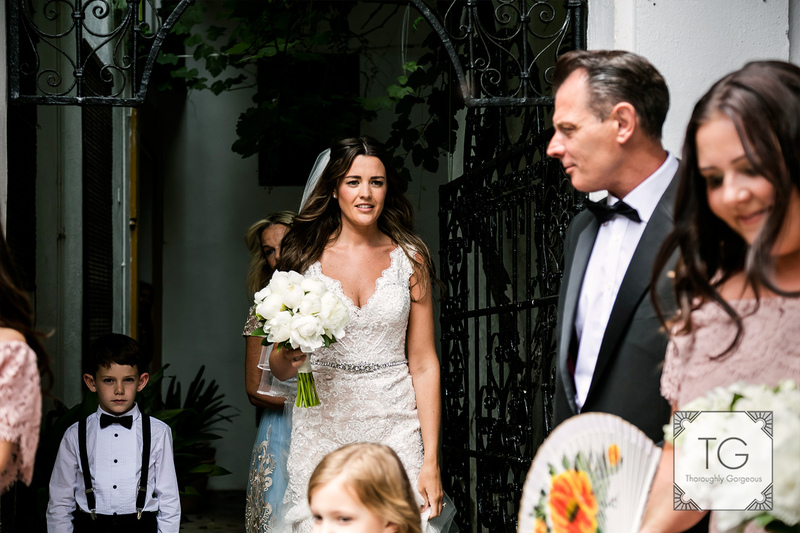 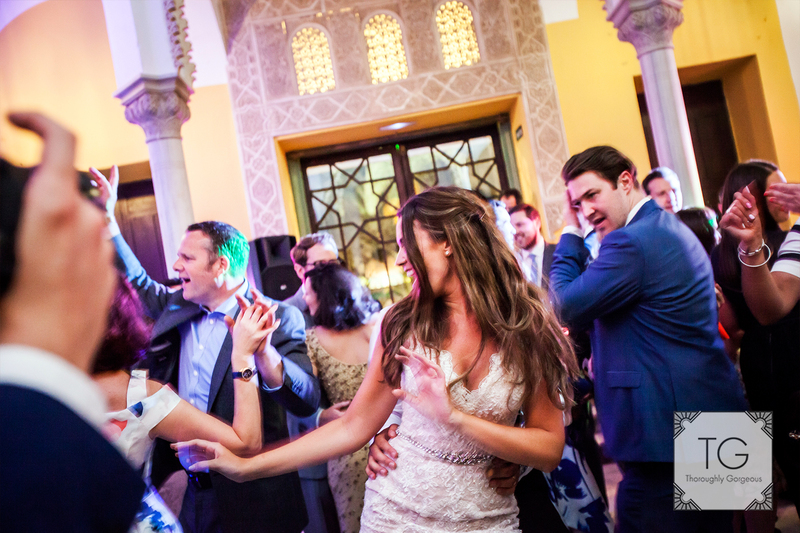 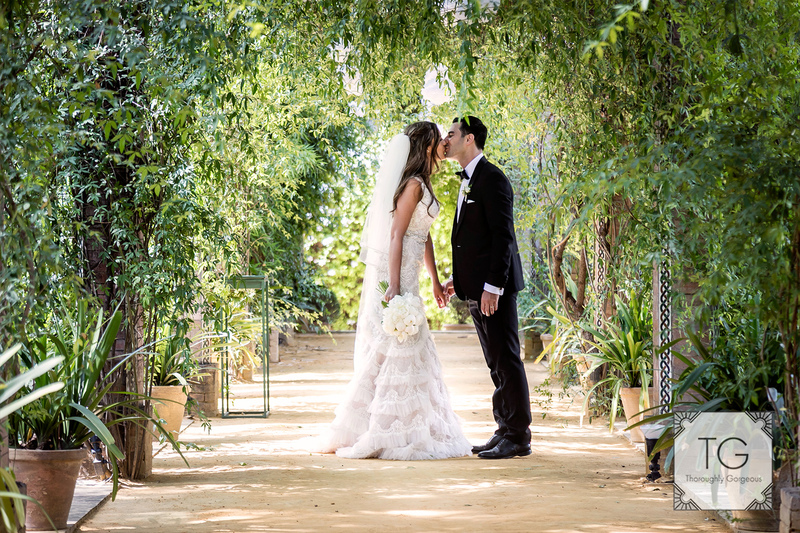 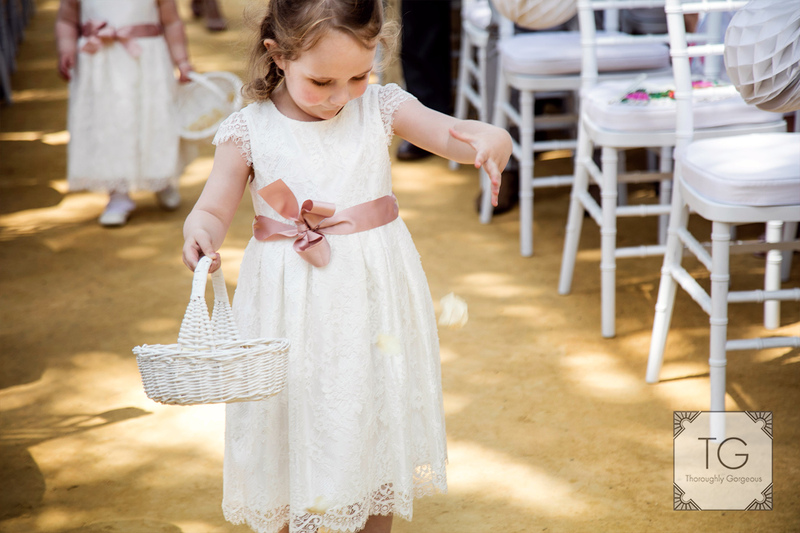 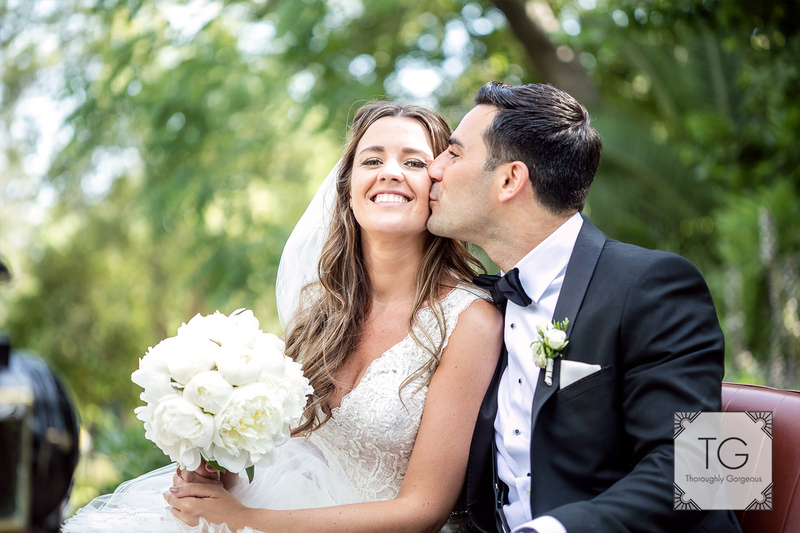 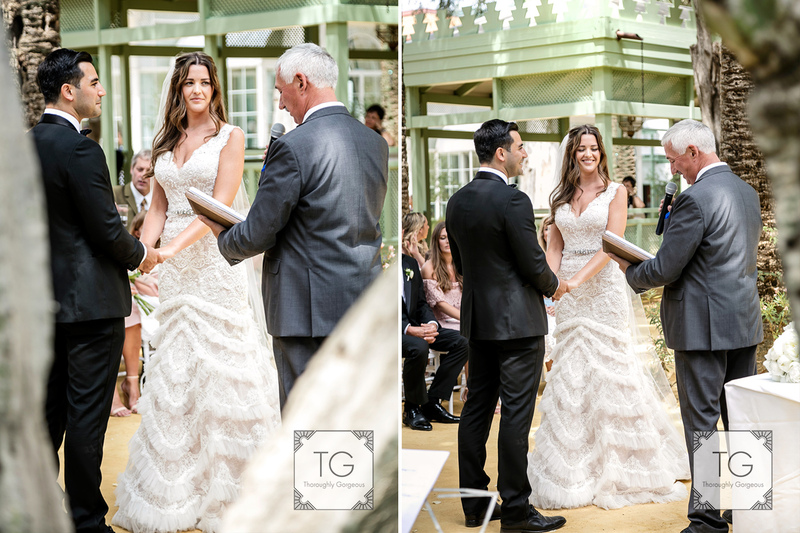 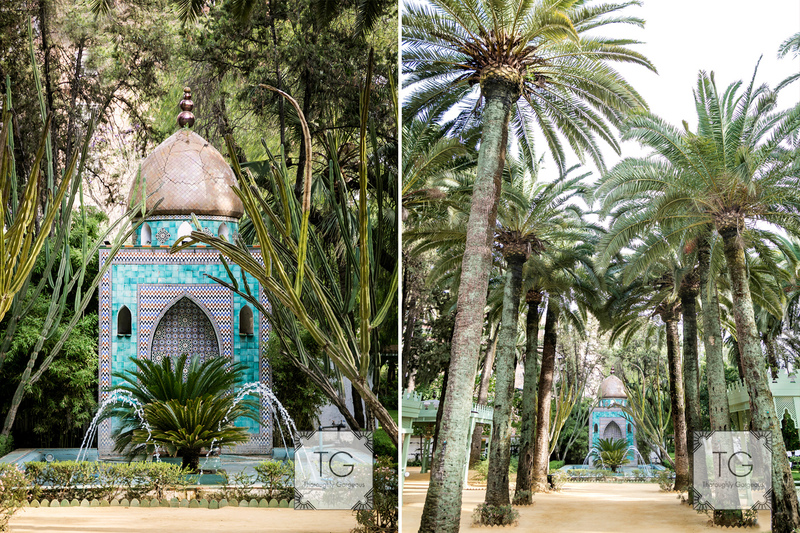 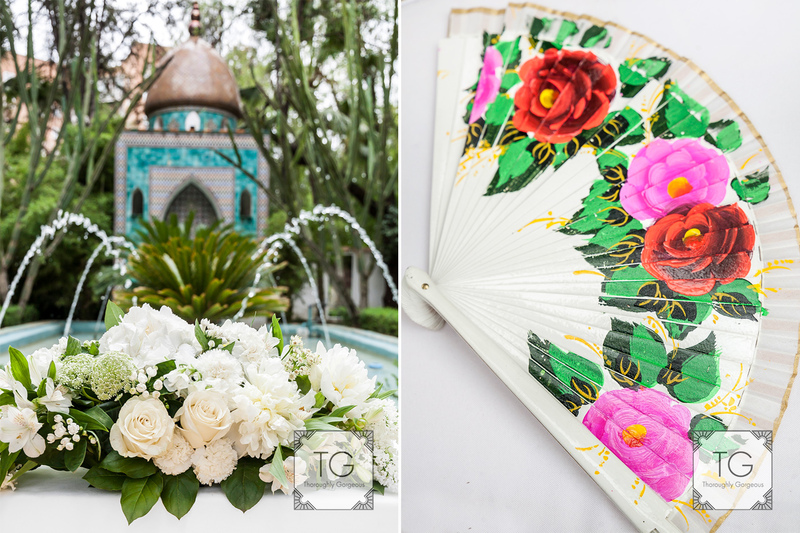 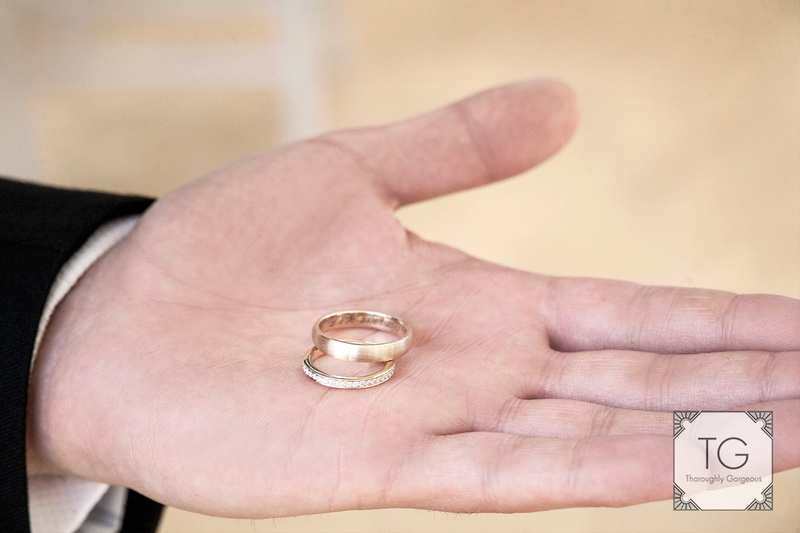 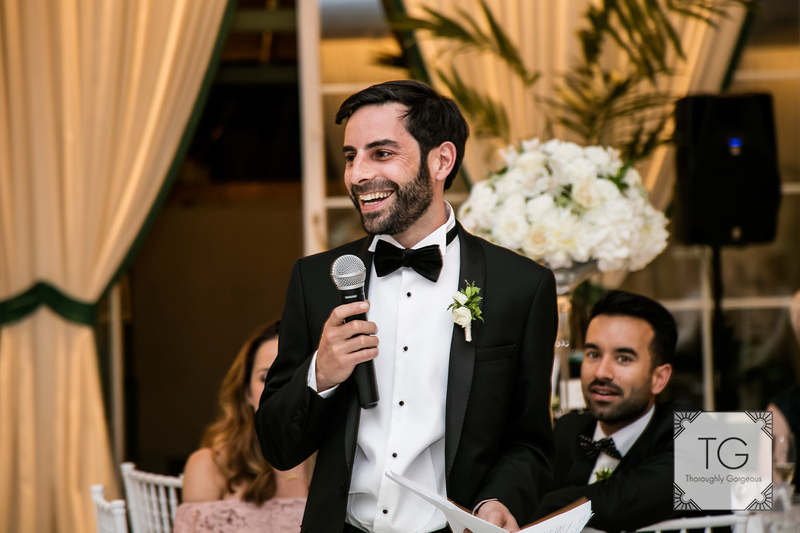 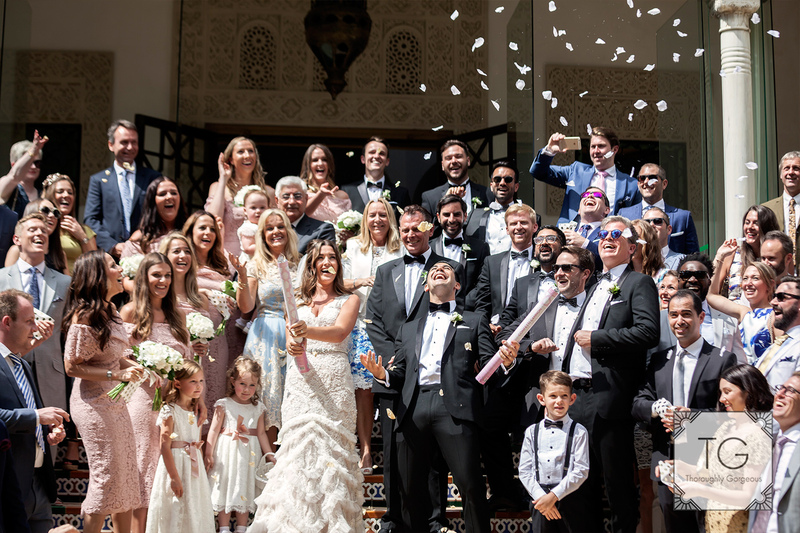 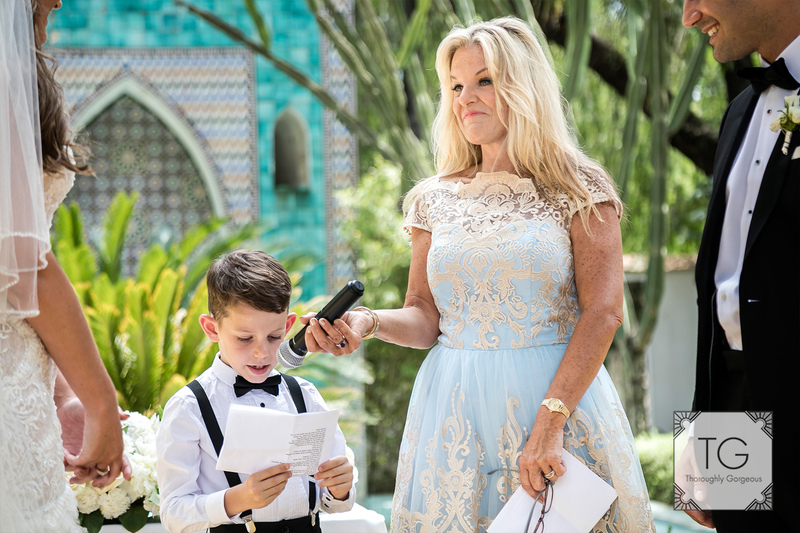 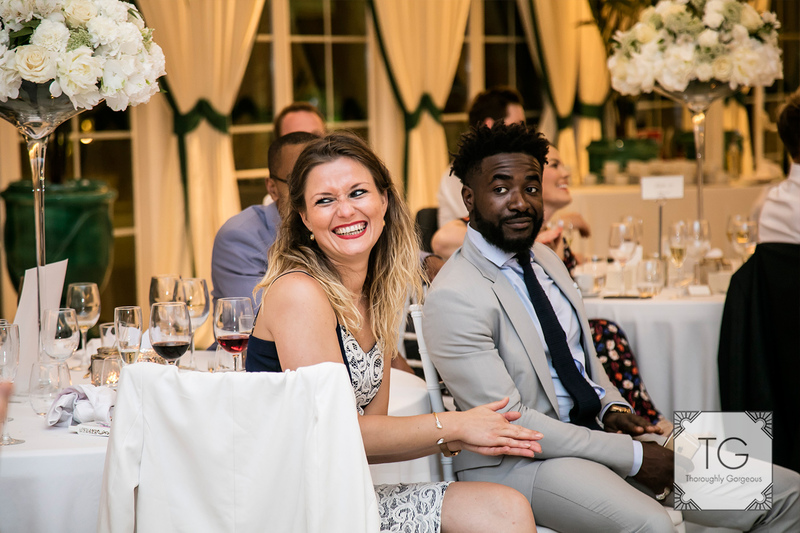 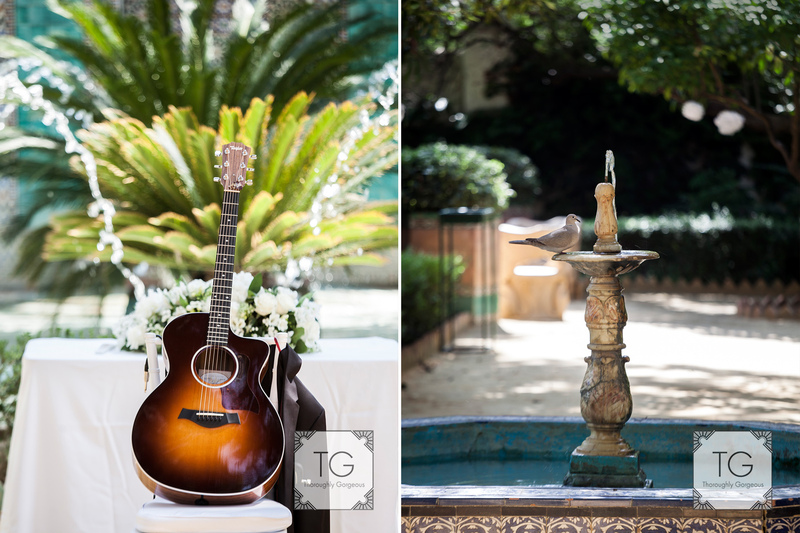 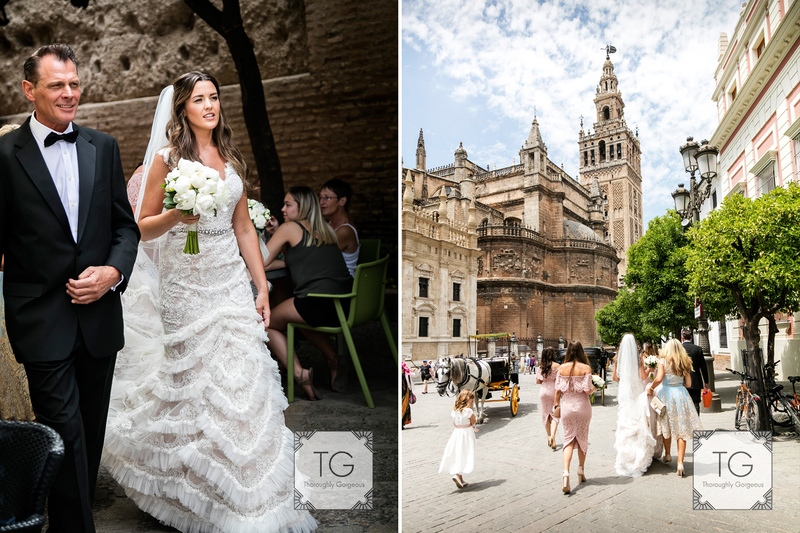 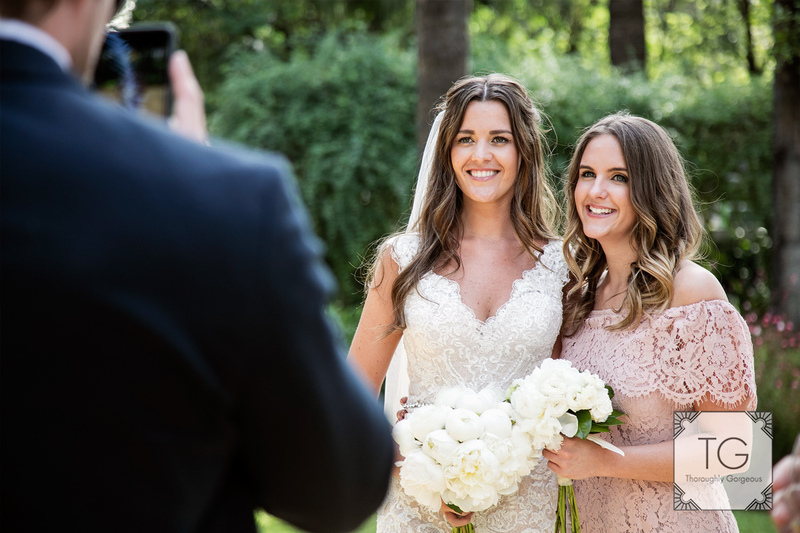 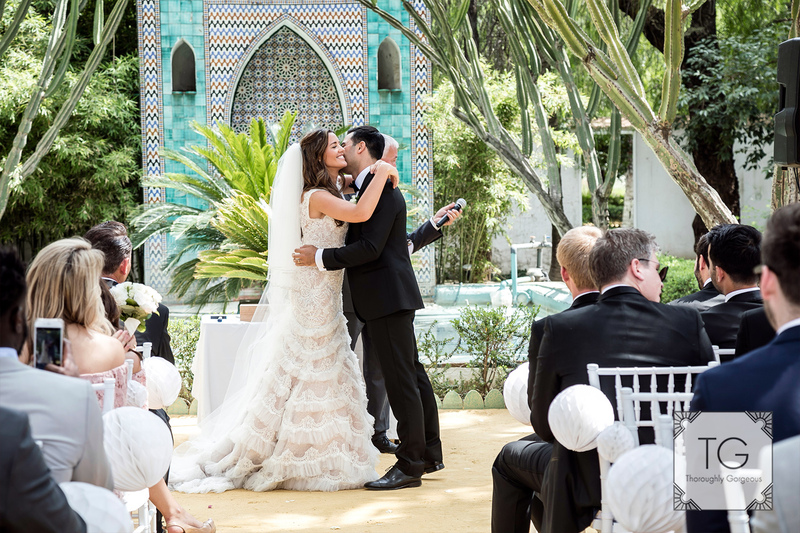 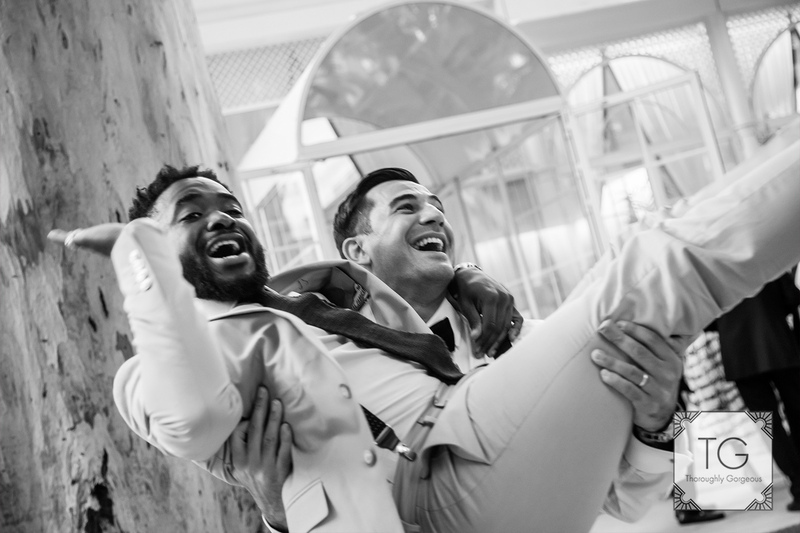 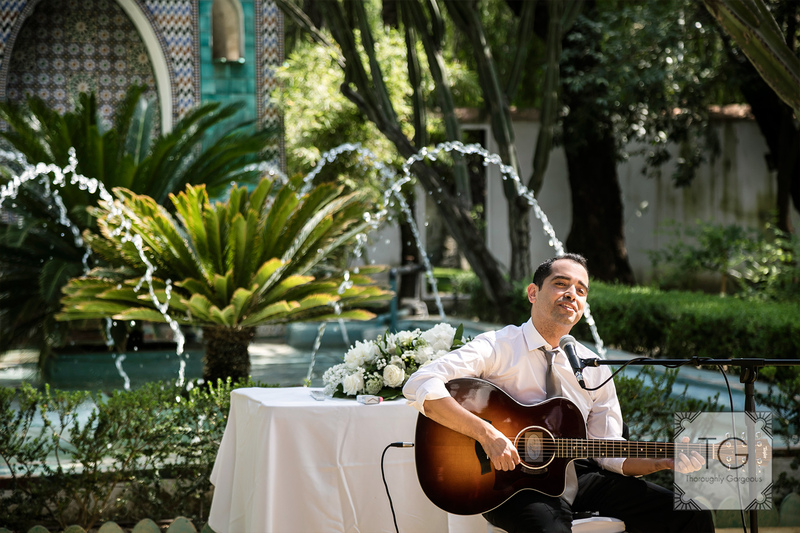 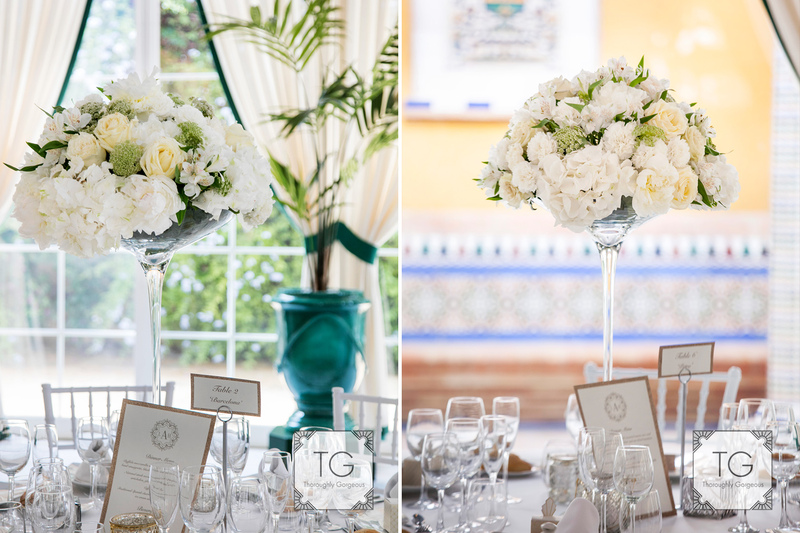 This May we traveled to the capital of Andalucía, Seville, to photograph the wedding of Leanne and Hassan a stunning couple who had decided to make this city the venue to bring together family and friends from all over the world. 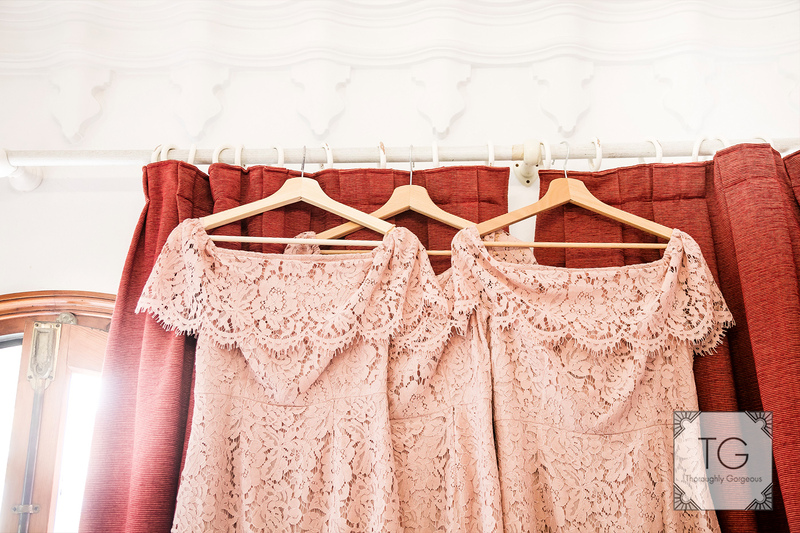 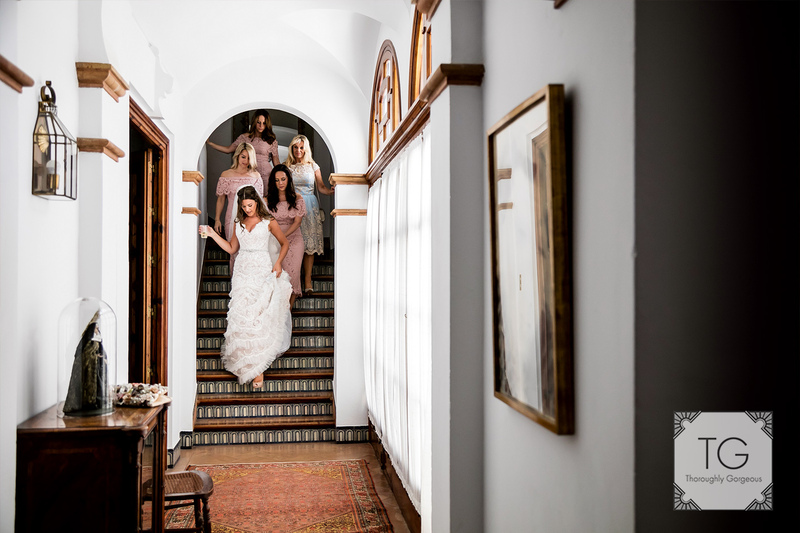 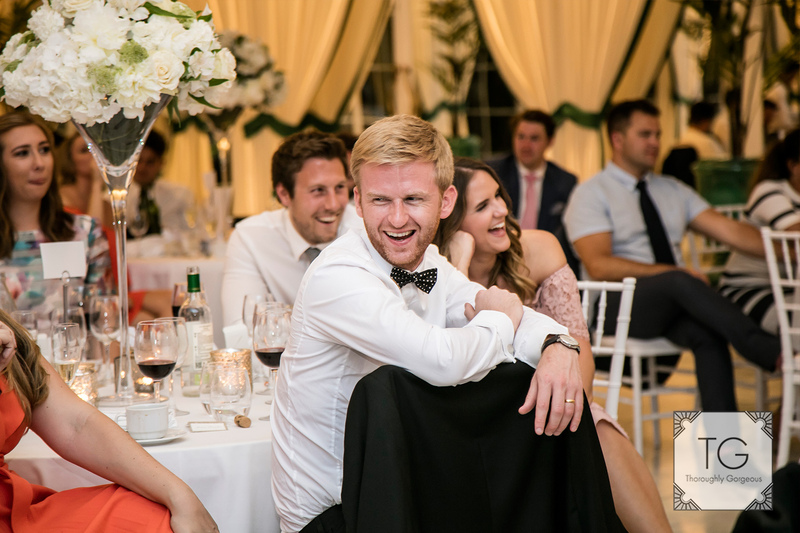 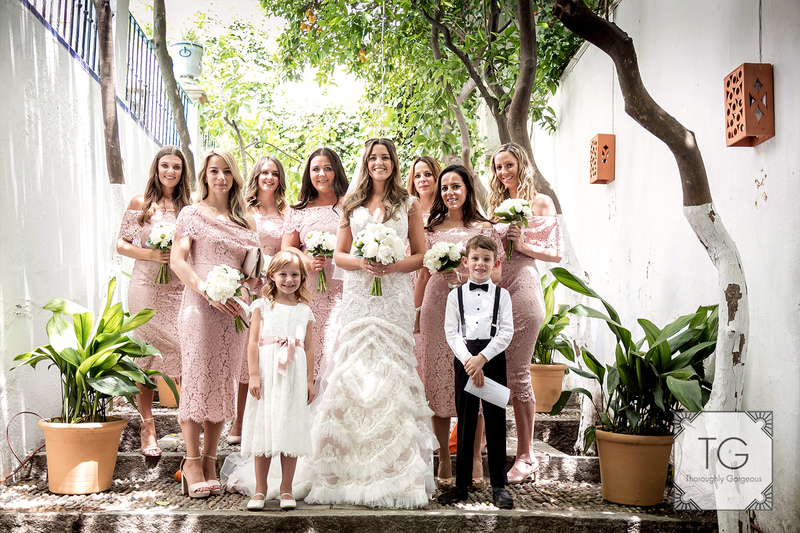 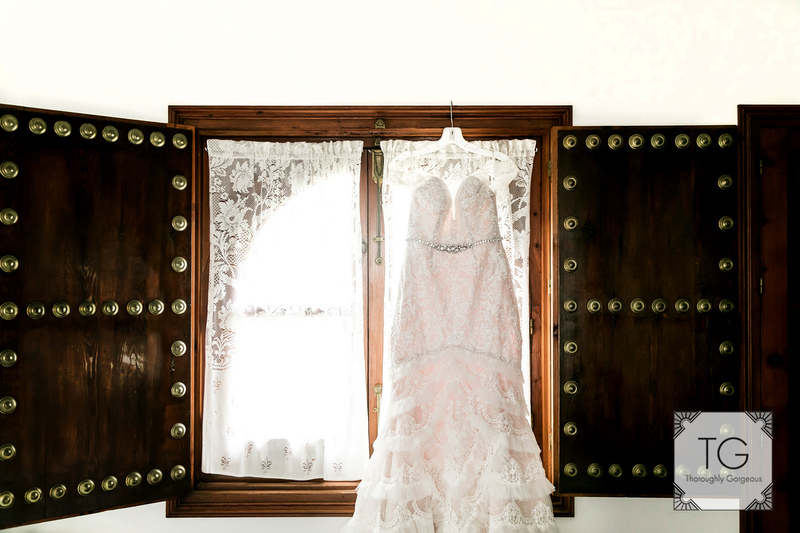 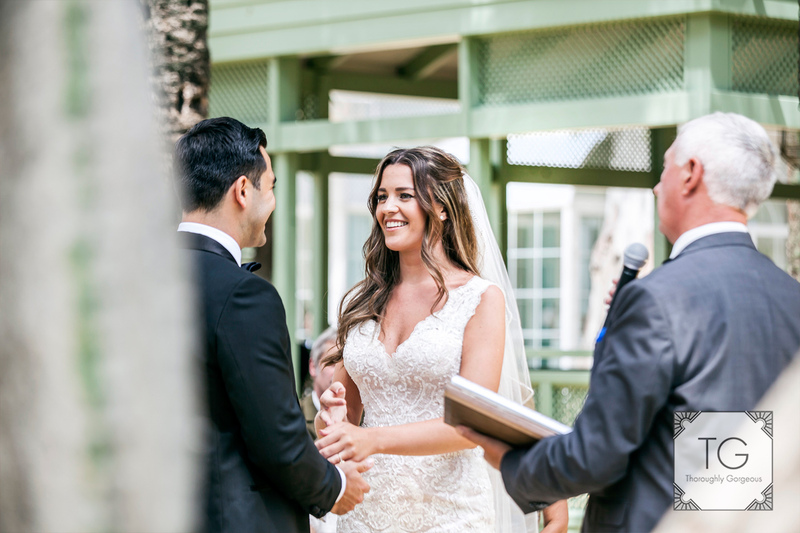 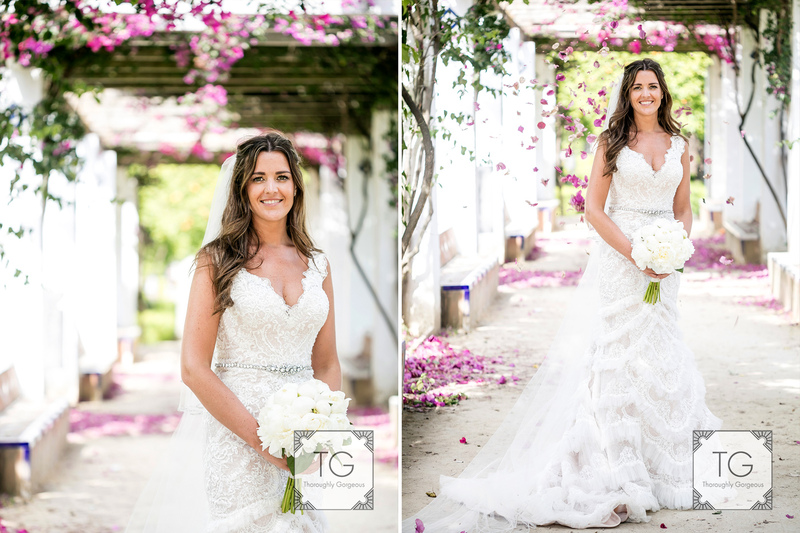 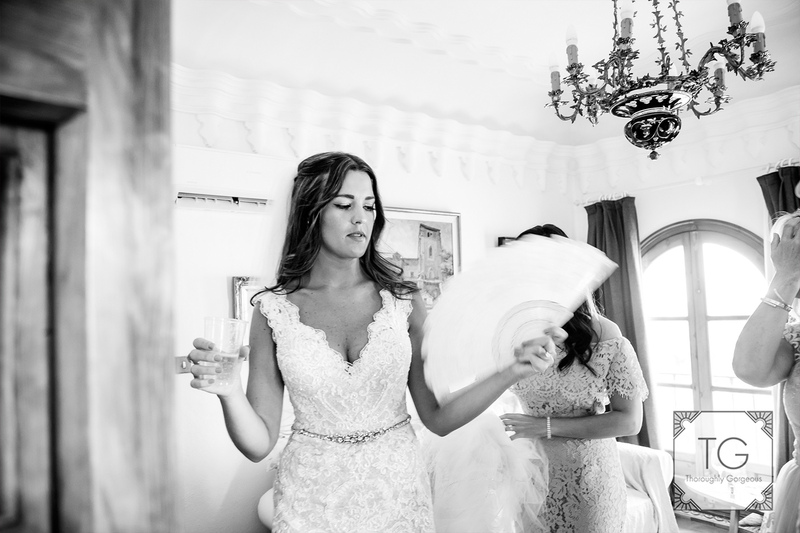 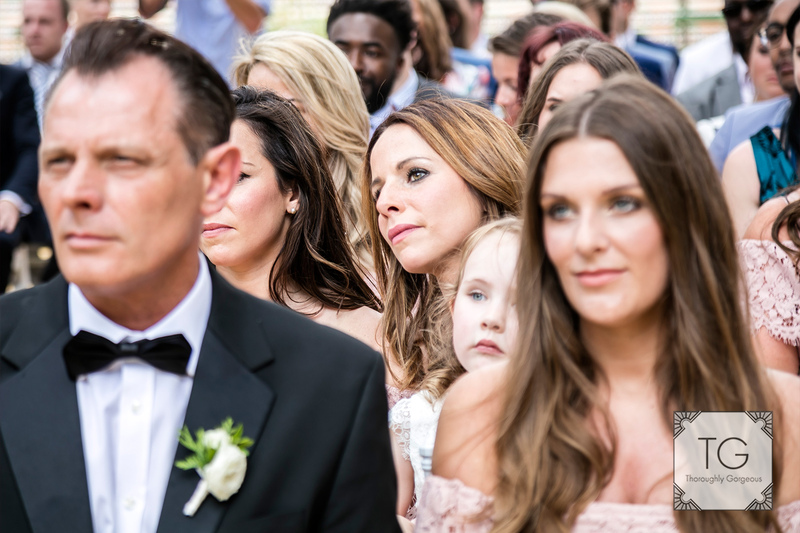 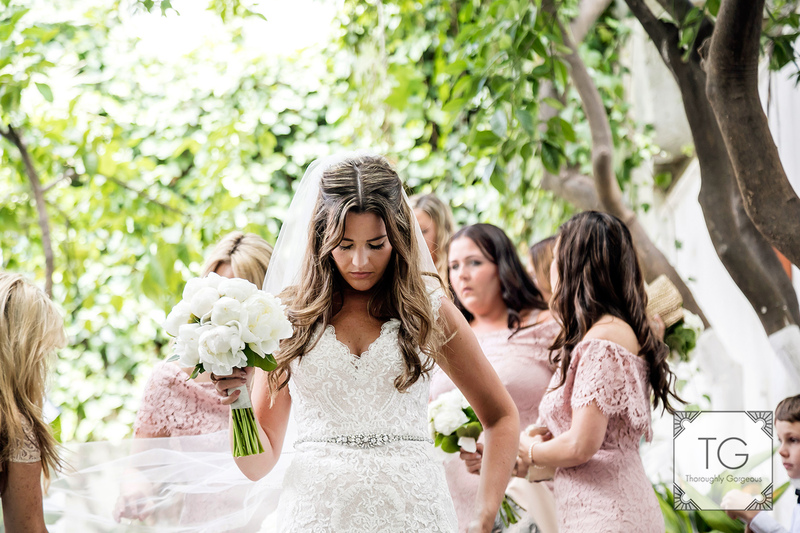 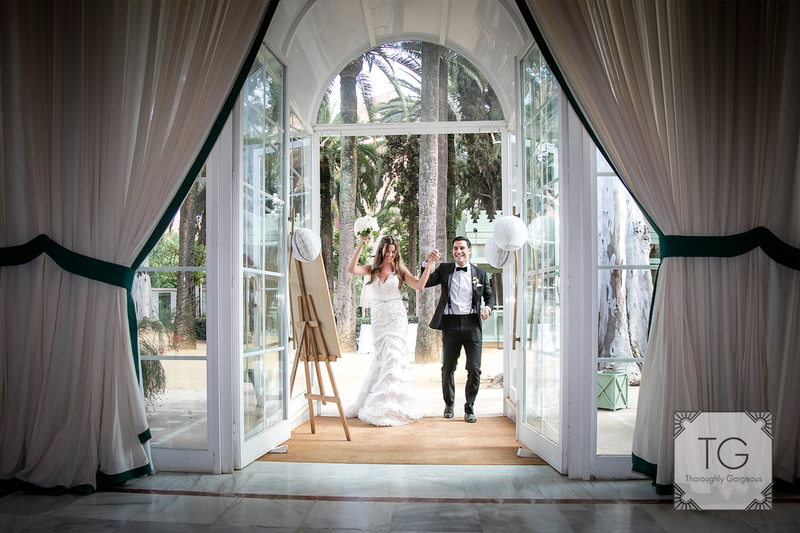 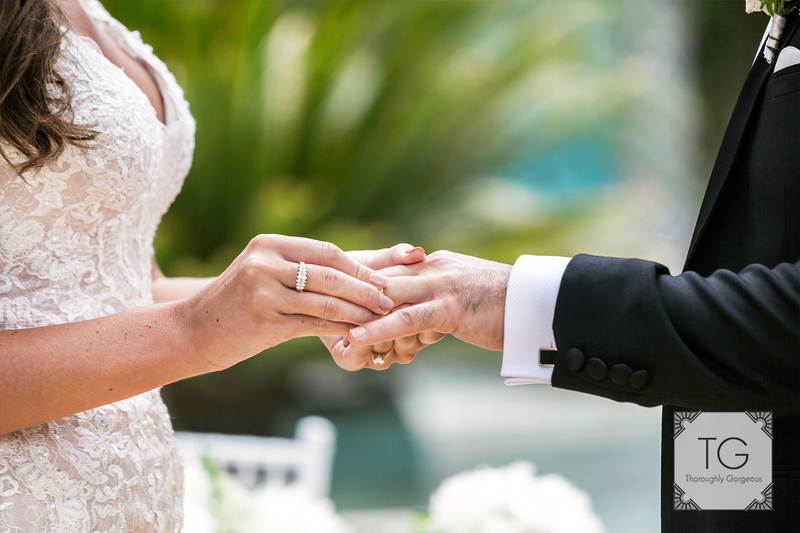 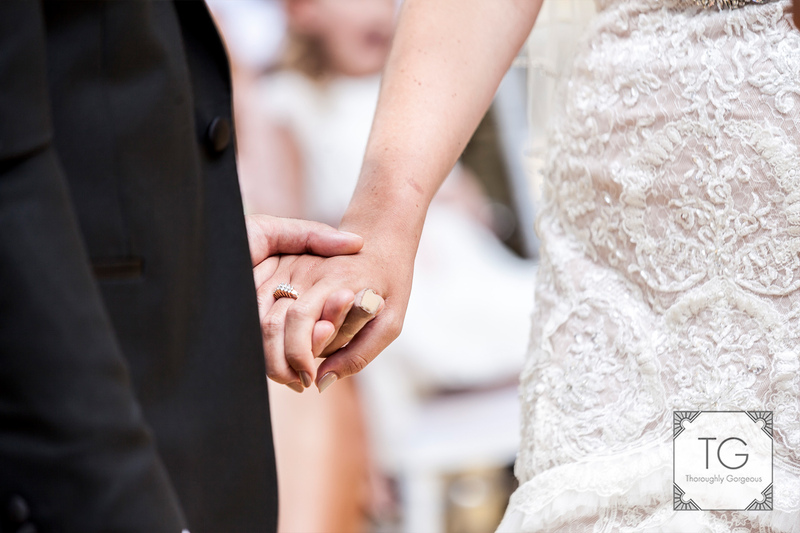 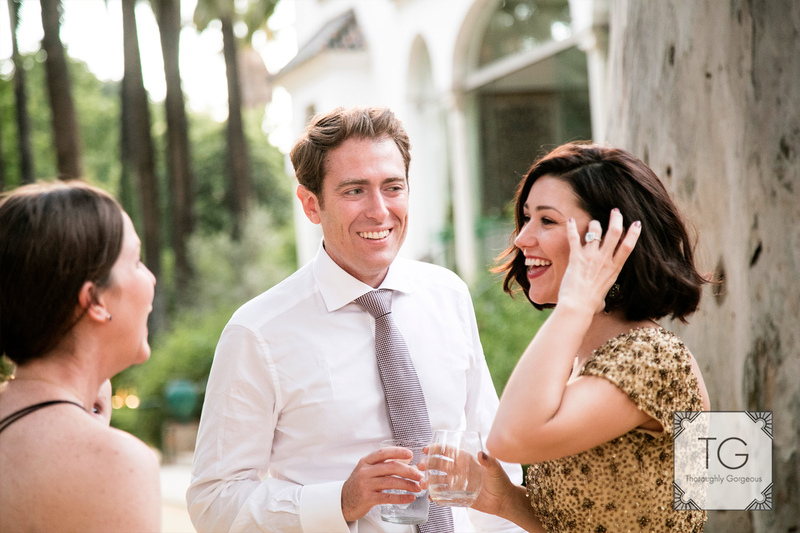 The wedding was to be held at Villa Luisa a centrally located traditional home. 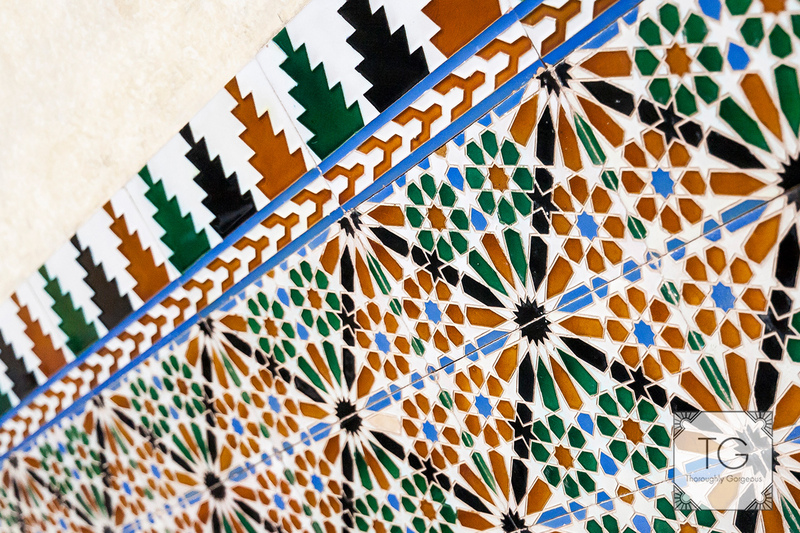 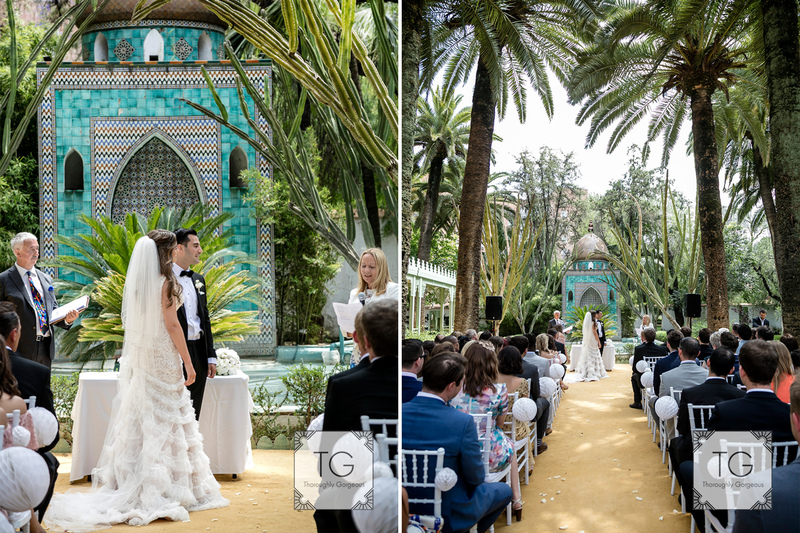 Both the date palm gardens and the inside gave clues as to its Arabic past, the deep yellow albero on the ground and the tiling its transition to Spanish style. 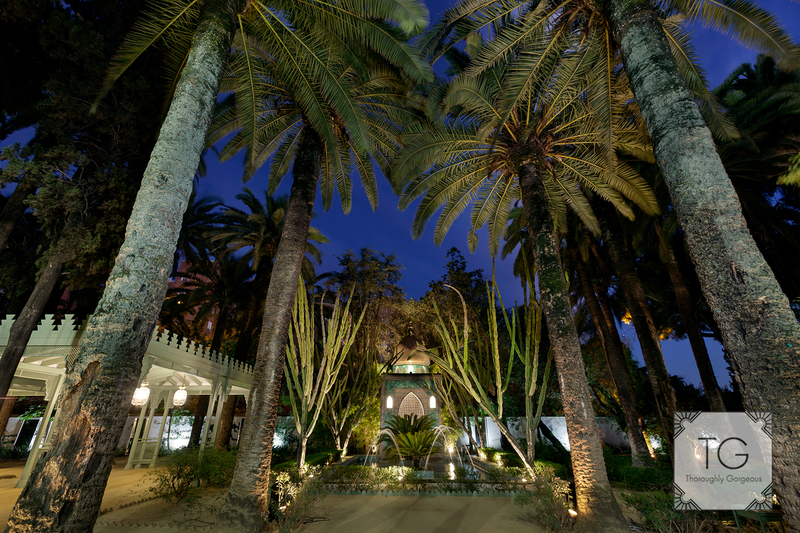 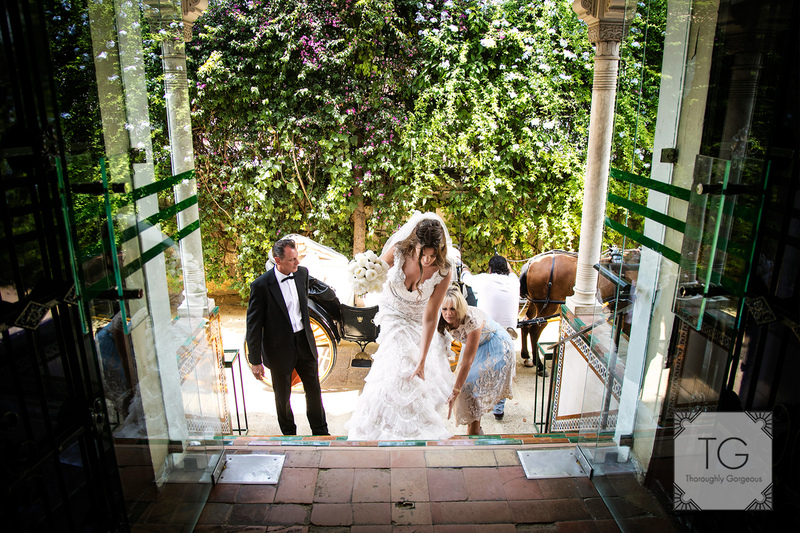 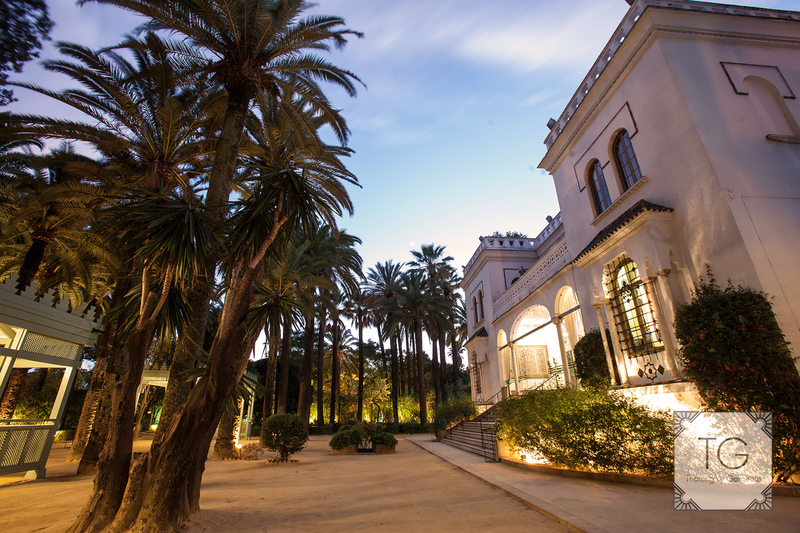 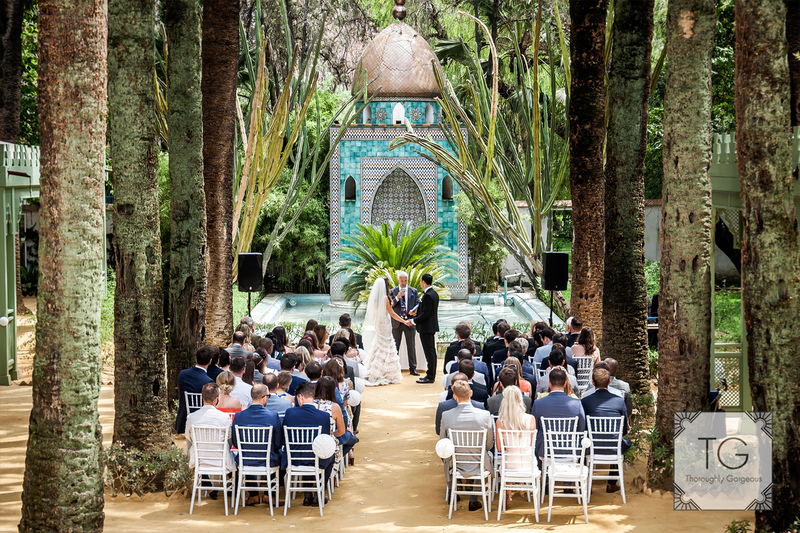 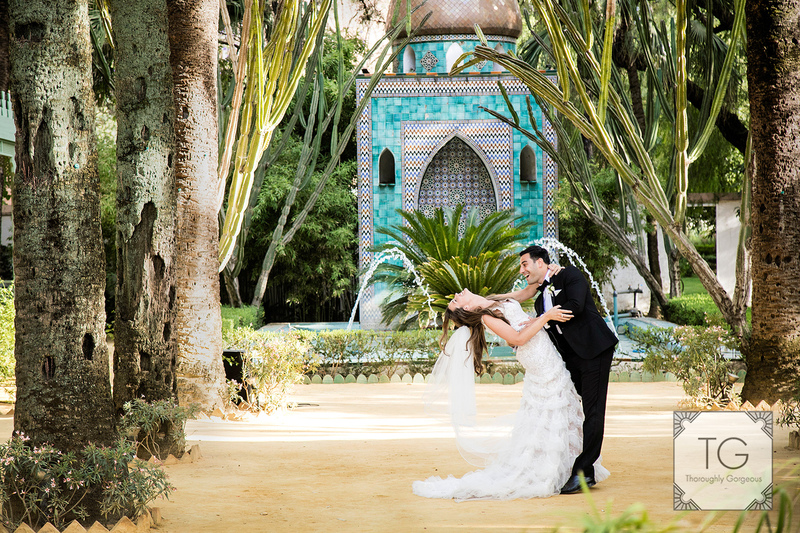 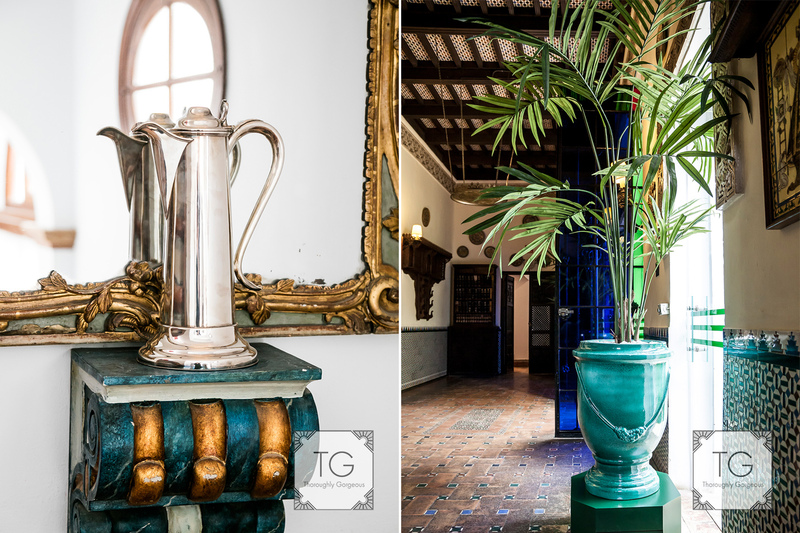 You couldn’t have a venue representing Andalucía better than this house and its surroundings. 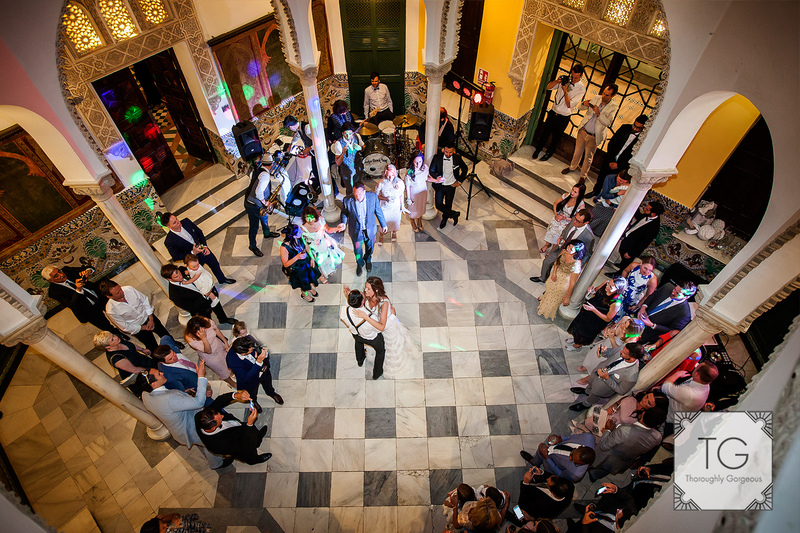 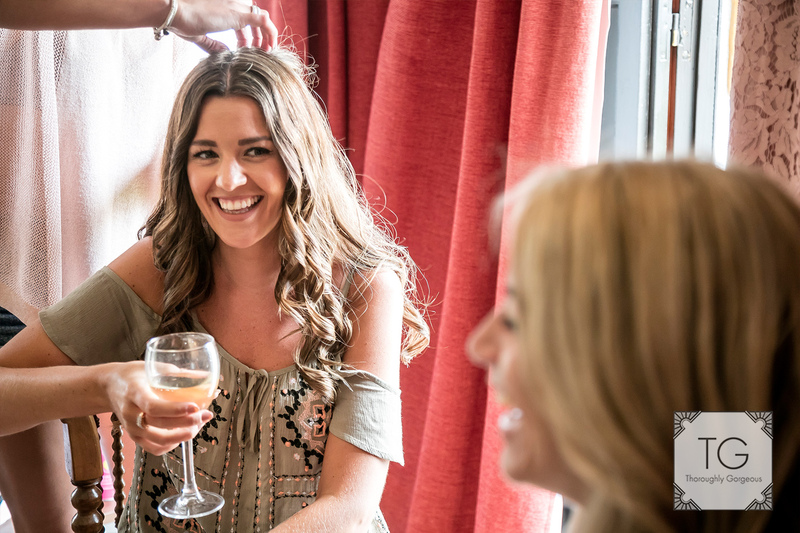 The wedding was also Spanish in it was as relaxed day, full of laughs, music, dance all coordinated by the lovely Julie. 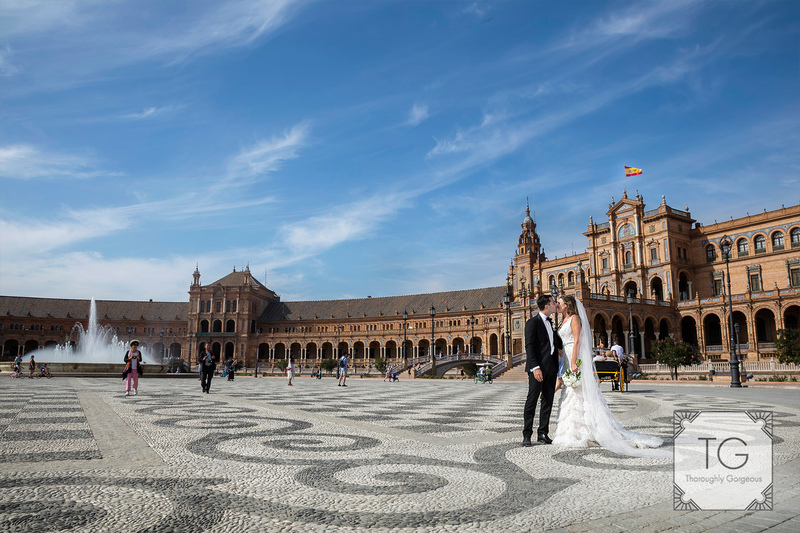 Being able to sneak out for photos in a horse drawn carriage to the Plaza de España was a treat especially with the most photogenic couple ever! 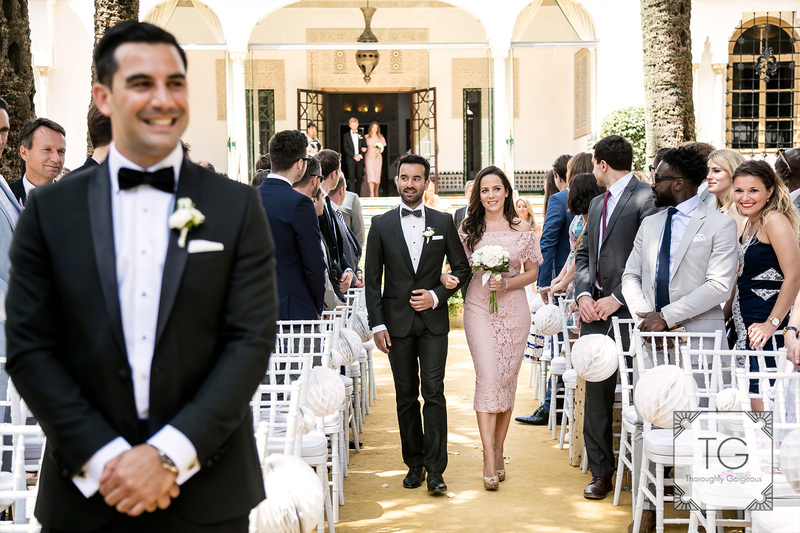 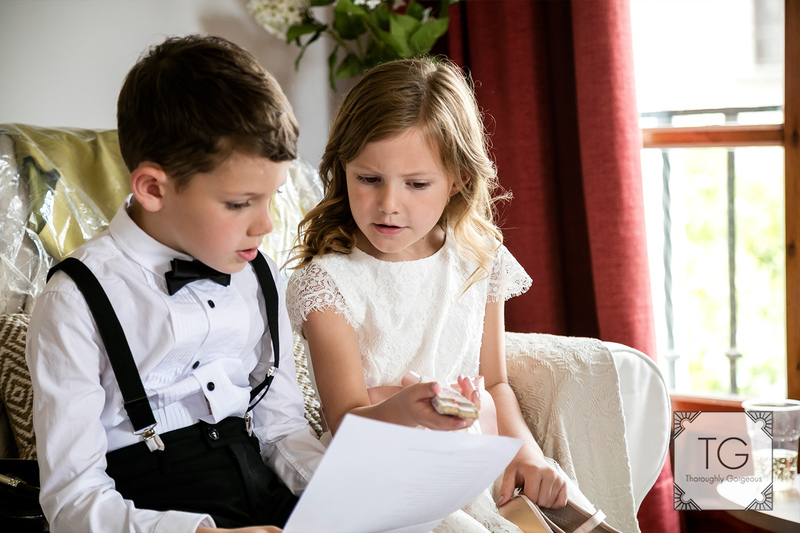 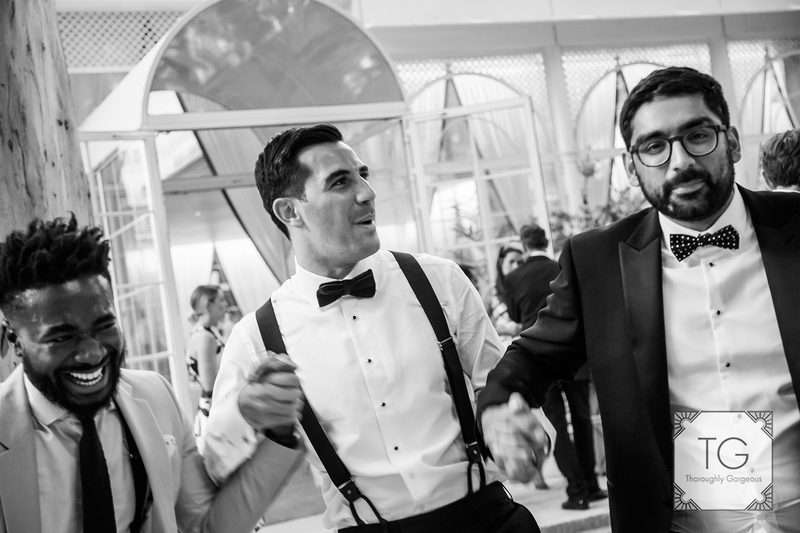 Leanne s dress was a dream in lace and Hassan looked great in traditional black tie. 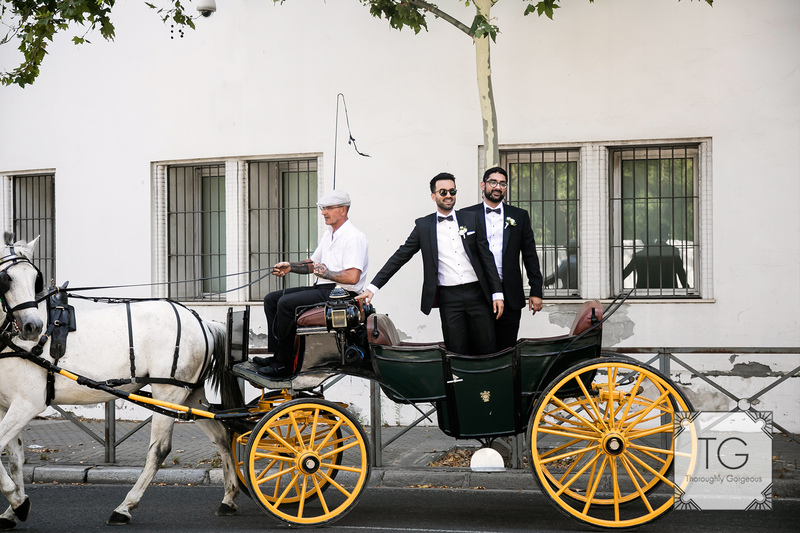 They took on a great challenge planning a wedding from their base in the Middle East but everything from the flowers, the food to the entertainment was perfect…even when things didnt go to plan like taxis which had to be replaced when they failed to turn up, they had a lucky star shining over and suddenly there are 3 horse drawn carriages transporting Leanne to her wedding in style…it was a great swap!